Proocam Pro-J072 BacPac Frame with Assorted Mounting Hardware is the smallest, lightest way to mount for your HERO3 camera + Bacpac. This Frame is expansion board BacPac frame and compatible with using (GoPro Hero 3 camera + Bacpac). 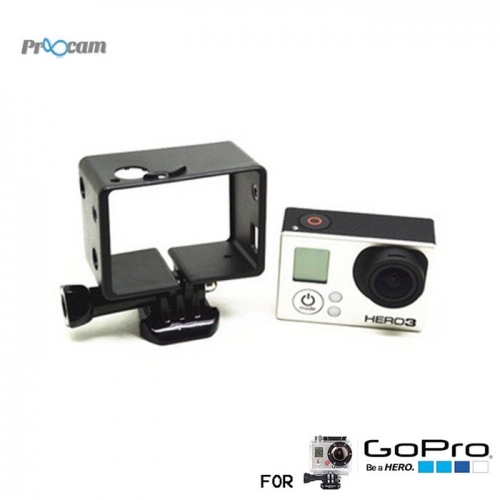 If you just need to to use GoPro 3 camera only, pease choose the Standard Frame .